The critique of British eating habits was too "painful" over 70 years ago. An arts foundation in England has released an unpublished culinary essay by the legendary author George Orwell, complete with an apology to the writer more than 70 years after it was initially rejected. The essay, entitled "British Cookery," was a defense of what Orwell described as the “slightly barbarous” diet of the English. 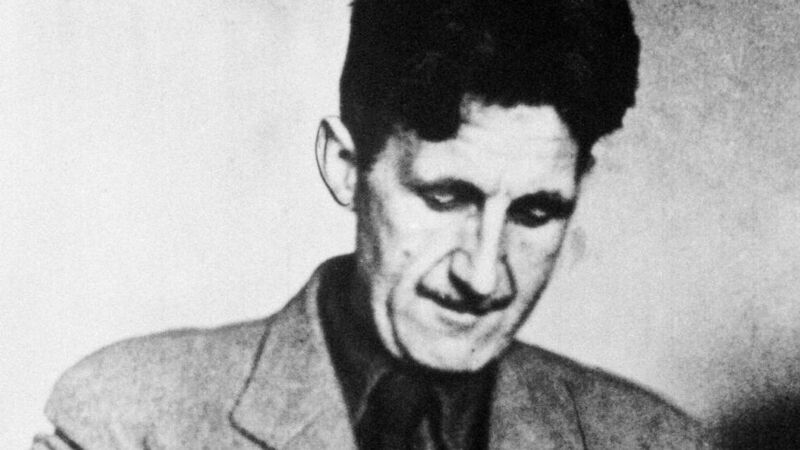 (ZUMAPRESS.com/Newscom) George Orwell in an undated file photo. The essay also includes Orwell’s recipes for other British staples: Christmas pudding, Welsh rarebit and treacle tart. To make amends for rejecting his manuscript, the British Council finally published the essay by the acclaimed author, along with a letter entitled “With apologies to Mr Orwell.” Unfortunately Orwell, born Eric Arthur Blair, won’t be around to accept the apology, as he died in 1950 at the age of 46. 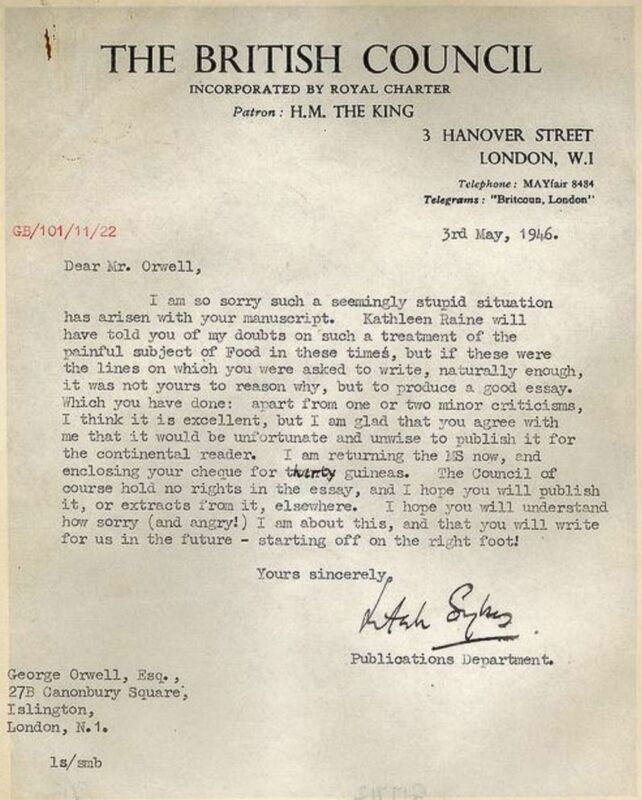 (British Council) The British Council released the original apology letter sent to Orwell in 1946. The British Council now says it's delighted to finally publish the essay. “Orwell was one of the finest minds on politics and the English language - but opinions are divided on his orange marmalade,” he added. The Orwell Foundation, which offers yearly literary prizes in memory of the writer, was not impressed. "The British Council rejected Orwell’s essay? What was new?” Jean Seaton, director of The Orwell Foundation, told ABC News. “The British Council were also censoring Orwell politically - he made British food sound so ghastly. At least the British Council paid him 30 guineas even if they did not publish it!" Orwell's reputation has enjoyed a resurgence in recent years. In 2017 his most famous work, the dystopian classic "1984," shot to the top of the Amazon best-seller list after White House counselor Kellyanne Conway used the phrase “alternative facts,” according to The New York Times. Orwell coined the words "doublethink" in 1984 - meaning the way someone can hold two contradictory views at the same time. The full essay, along with Orwell’s recipe for marmalade, has been published on the British Council website.